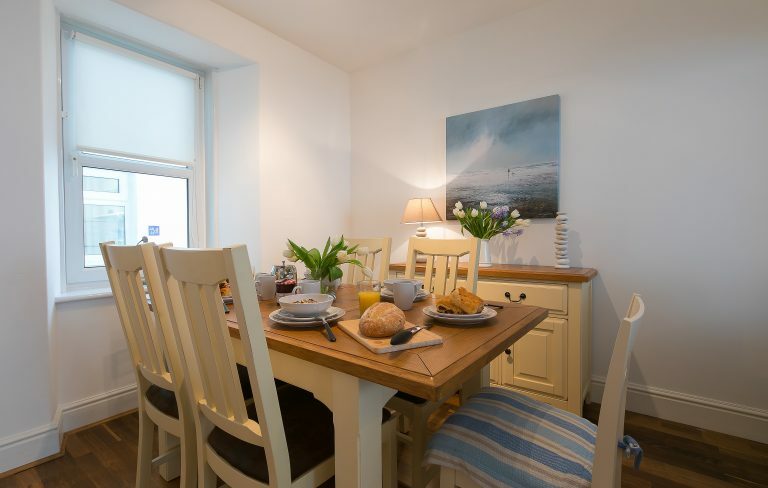 Situated in a popular area of St Ives within a couple of minutes walk to St Ives Habour, beaches and The Tate Gallery. 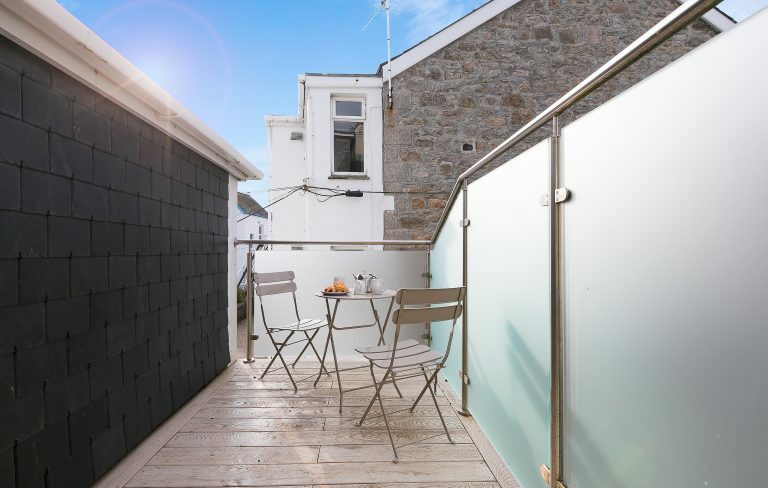 Set over three floors, this spacious town house welcomes pets and has views across St Ives Bay to Godrevy point. 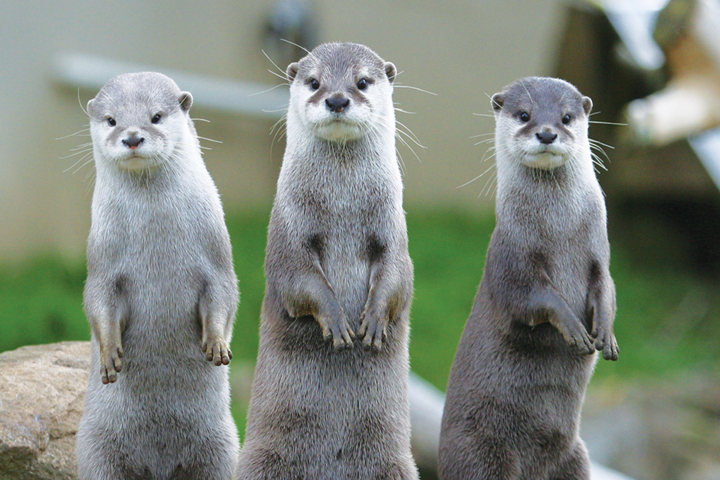 Sleeping six with off site parking for one car makes this the perfect family getaway. The ground floor has a spacious and welcoming lounge/dining area. 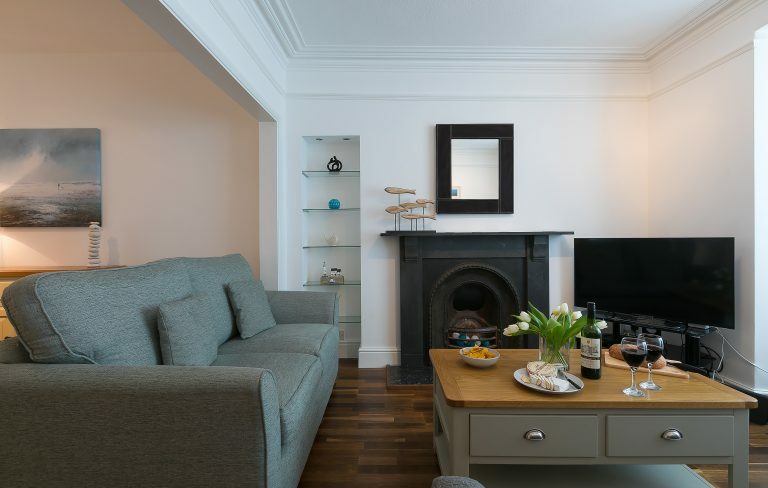 The lounge has comfortable seating with Smart TV and feature fireplace while the dining area features a good size table and chairs to enjoy a family meal after a day on the beach. 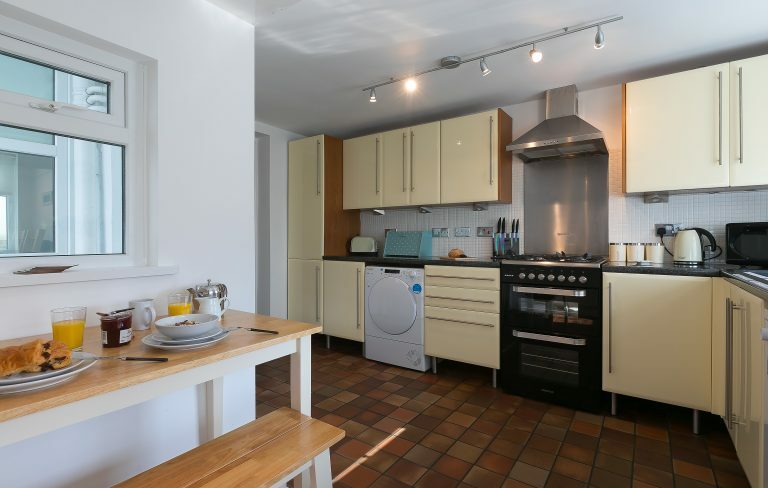 The good sized modern kitchen is well equipped with fridge/freezer, dishwasher, microwave, fridge/freezer and washing machine. On the first floor is the family bathroom consisting of bath with overhead shower, toilet and sink. There is also a separate toilet with separate shower cubicle on this floor. 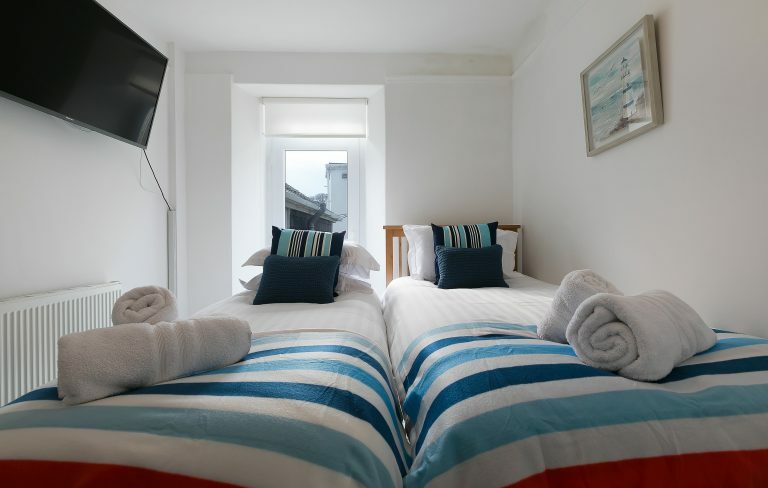 The twin bedroom has a single bed with a single pull out bed. From this room there is a door opening onto an enclosed balcony with a bistro table and chairs. 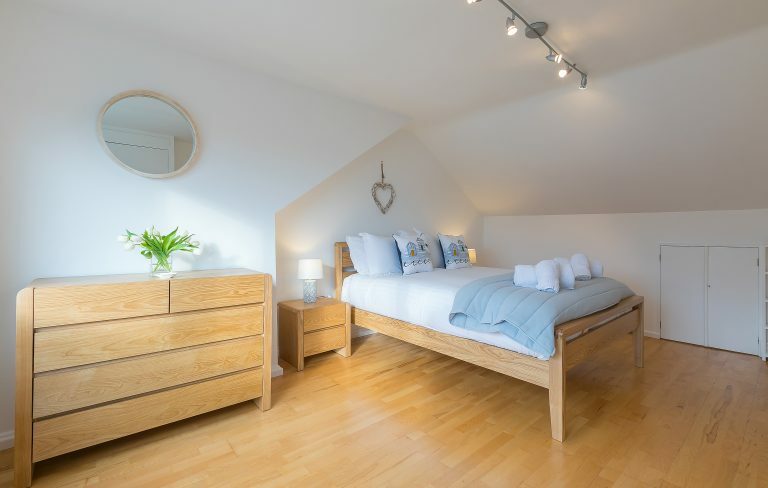 There is a bright and spacious double bedroom featuring a large bay window with ample storage. 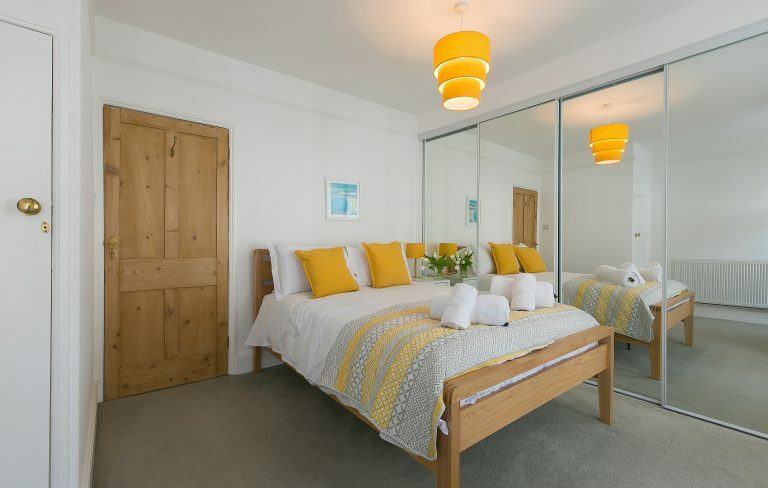 The large second floor kingsize bedroom is light and bright with lovely sea views from the wall to wall windows. Please note the fire in the lounge is a feature fireplace and is not for use by guests. The Leach Pottery is considered by many to be the birthplace of British studio pottery. 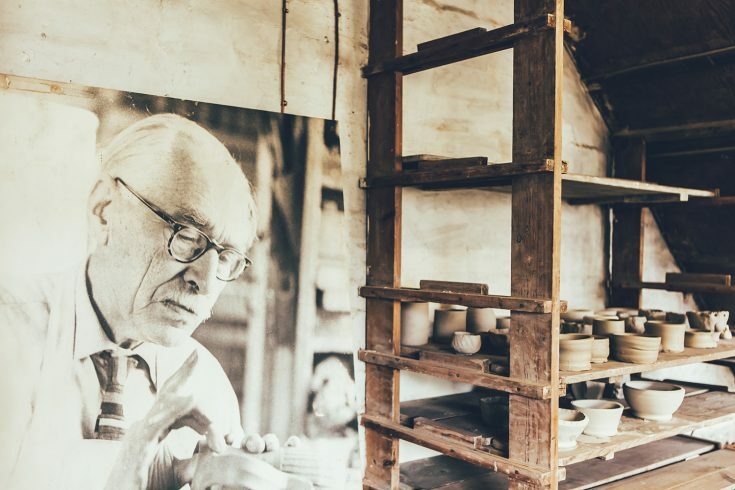 Bernard Leach played a crucial pioneering role. 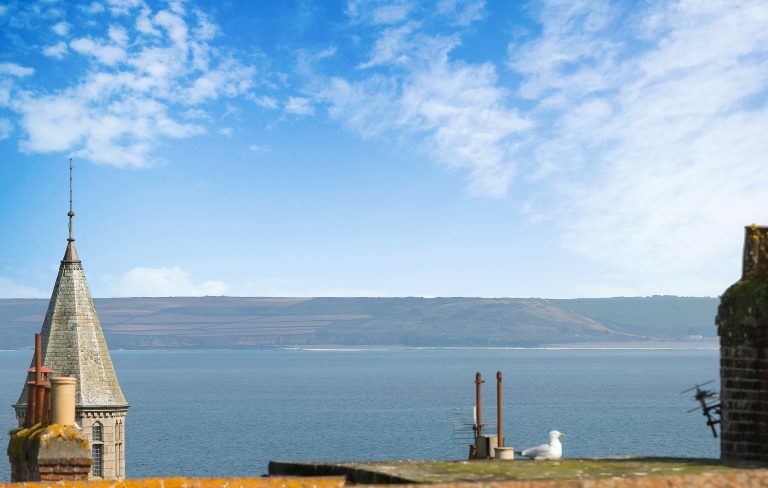 Whether you live in Cornwall or are visiting on holiday, we would love to welcome you to Paradise Park! 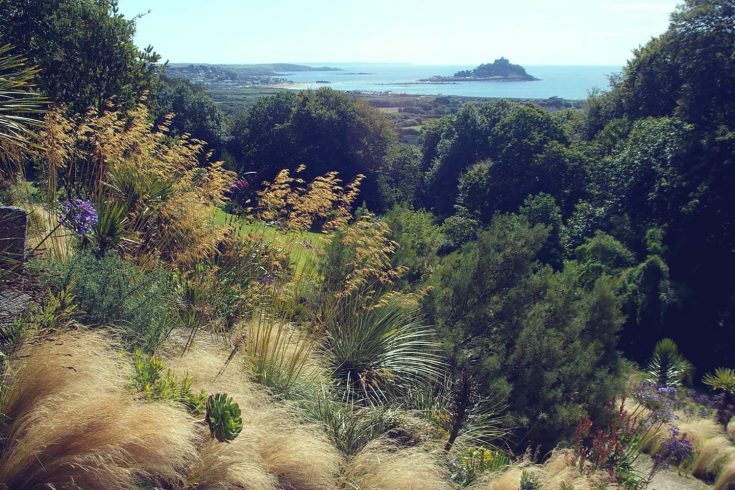 Tremenheere Sculpture Gardens is a major new attraction near Penzance in Cornwall.